As your business grows, so do your cloud management needs. We offer easy and affordable cloud management services. ProTech Data Cloud Services provides a number of different cloud-based services to our clients, designed to help you increased control over data protection and infrastructure resources and provide greater management opportunities to our clients. 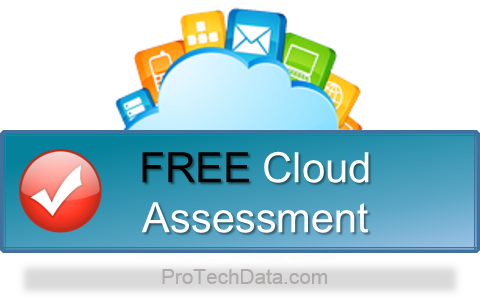 ProTech Data provides multiple choices with regard to the development and setup of your private cloud. ProTech Data Cloud Services Consultants will work closely with you to evaluate your needs and utilize an efficient approach to determine which features and products of cloud computing would work best within your unique business situation helping you to easily transition and optimize your IT operations. We can set you up with the best in cloud service package options and data protection services. Cloud computing is cost-effective, flexible, seamless, and efficient, making it possible for clients to access virtual resources on-demand. When we maintain your server, essential service packs and software updates can be installed on all system computers, usually after working hours so that network user activity is not disturbed. When maintenance is completed, a system correction, system restoration, or hardware component replacement is made when necessary. For our clients, we provide a comprehensive backup plan. In the event of a system failure, the backup data will be vital in helping the network users retrieve their stored information. A good backup plan must be tested when maintenance is performed to ensure that your network will meet data recovery requirements.